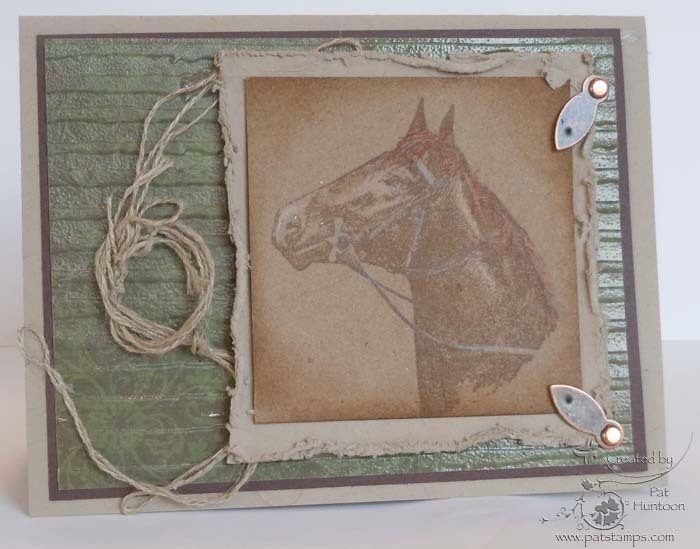 This week the Stampotique Team is teaming up with the Technique Junkie Team to challenge you to create a project using Stampotique images and the Faux Barnwood Technique. 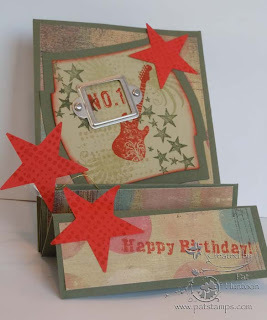 To play along, grab your Stampotique Stamps and use the Faux Barnwood Technique or any of the TJ Techniques for your chance to win 1 of 2 fabulous prizes! For full challenge details, click here. I love my chatty girl. and I love the way the Faux Barnwood Technique turned out here, too -- I was able to really pick uyp the orangy-rust color in the "wood". 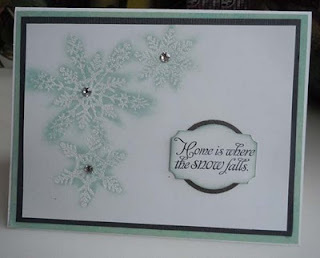 Now it is your turn to play along -- go to the Stampotique Blog and play along! It's Friday and I am finally getting my Blogger's Challenge card posted! What a whirlwind my life has been this week...I am actually amazed that I was able to post anything at all. 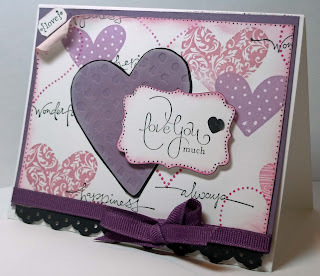 I used the Petal Punch from Stampin' Up!, along with some of their Sell-a-bration sets (Are you sick of this flower punch yet? I am a little addicted to it). 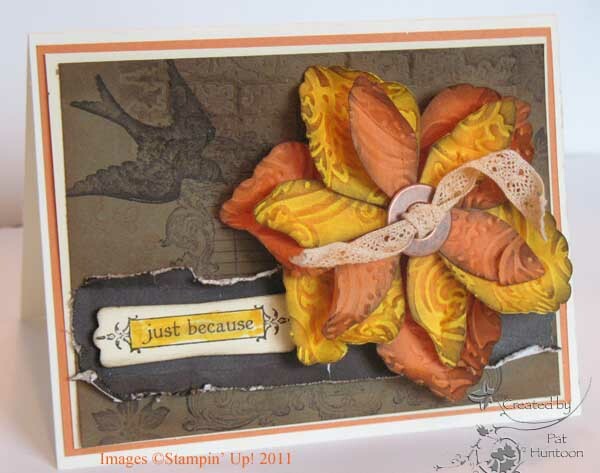 The background uses a Stamp Camp background stamp under the SU stamps. The total effect is It is a hybrid of the Bandana, Background Whimsy, and Pencil and Ink backgrounds, with some Glimmer Mist thrown in for good measure. I love the way this flower turned out! 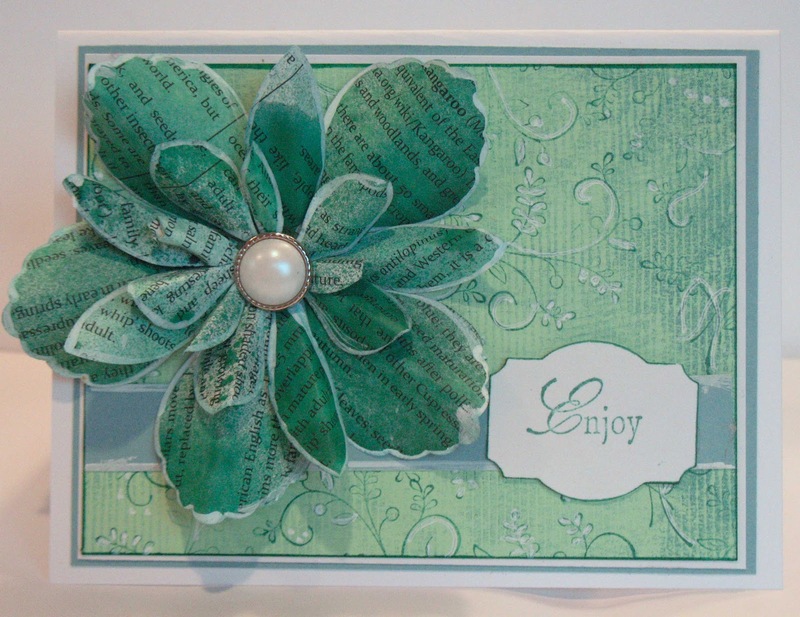 I used the vintage paper from Stampin' Up!, a white Sharpie pen, and Glimmer mists on the petals. I had to take a little liberty with the sketch (below) though -- what do you think? Is it close enough? 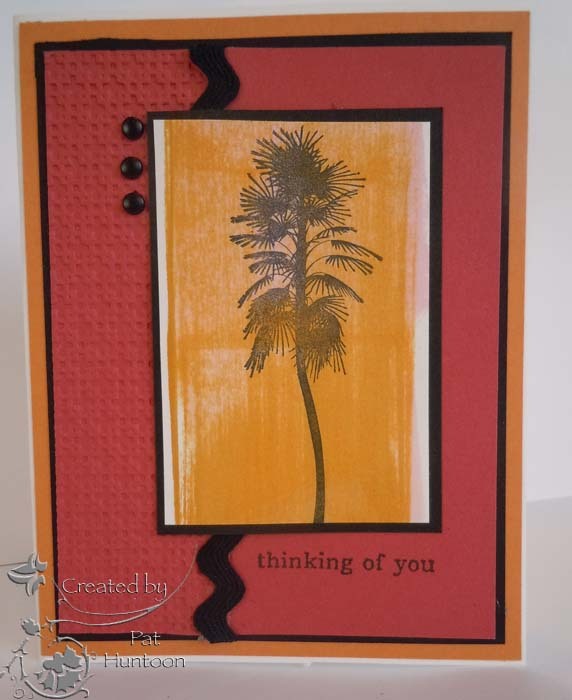 You can play along, too -- simply create something using the sketch, and upload your card with the links below. Have fun! Happy Friday! 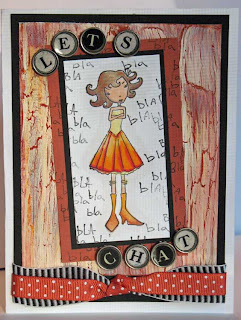 Today is Blogger's Challenge day and the theme is "Emboss Me." I am very excited about this theme, since I have a brand-new CD called "Emboss or Die" available for pre-order now! 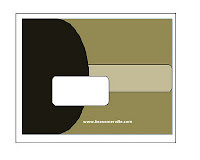 The Cd contains 79 pdf pictorial tutorials for using your embossing folders, Die Cut machines, and Electronic Cutters. You can order it HERE, or on the sidebar of my blog. My Card uses the Antique Wallpaper Technique on the flower petals. That technique is in the June/July 2009 Technique Junkie Newsletter, and is also on the new CD! 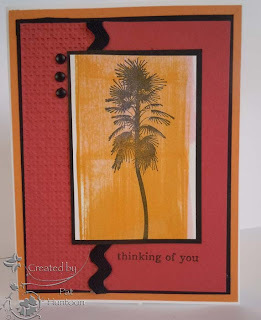 The stamps on this card are from Stampin' Up!, as is the petal punch. Would you like this card -- and a free year of the Technique Junkie Newsletter (or the CD of your choice)? One lucky winner will receive just that. The Technique Junkie Newsletter is the giveaway sponsor this week...and all you have to do to enter is to click on the "follow" button on my blog (feel free to leave a comment, too, but realized that the comment will not qualify as an entry). On Monday, Feb 21, I will select one of the followers via my random number generator...and that person will have the choice of the Newsletter for a year OR any TJ CD -- including the Emboss or Die or Fancy Folds CD -- of their choice. Anyone can enter this -- whether you are a long-time subscriber, brand new, or not a subscriber yet, there is a prize that fits everyone! A little bit about this card...making it was cathartic to assuaging some of my obsessions. I LOVE stamps depicting the Eiffel Tower. I have at least 5 of them, and today I received this one in the mail. It is Stampin' Up! 's Artistic Etchings set. I had been holding my "need" to buy this stamp at bay, but recently lost the battle. 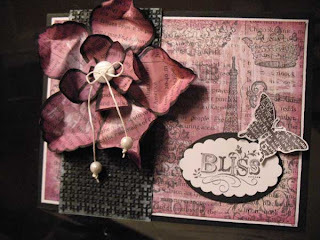 When I saw the Bliss Sell-a-Bration set from SU, and the new petal punch and newsprint paper from the mini catalog, I just knew I had to work with them together. Believe me, it will not be the last you see of any of them (and no, I am not a demonstrator -- never have been, either). 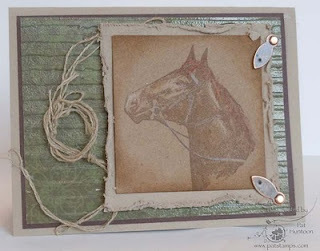 The background was made using the Newsprint designer paper with the Simple Whitewash Technique from the August 2009 issue of the Technique Junkie Newsletter. Instead of ink, I used two colors of Tsukineko's Walnut Ink Spray (Cherry Blossom and Lilac). The Stampin' Up! Artistic Etchings and Bliss stamps were collaged over the top. The flower was made by punching the petals from the same Newsprint paper, and sprayed with the same walnut inks; then they were inked, the edges were markered, and some of the petals were lightly brushed with gesso. I placed the flower on a black Cuttlebug Highlight (October 2008) piece. Okay, now go to the sidebar on my blog and click on the FOLLOW button (scroll down past the "subscribe to this blog" and "grab this badge" sections (feel free to do that, too!) to the little "follow" button. Click on it, follow the directions, and you are entered! If you would like a SECOND chance, go to the TJ Design Team blog and click on the follow button to follow that blog, too! I was in a 1-on1 swap this month and had to make a card representing the letter "H". This card, using a Horse from Alluring Impressions, was my submission. I colored my Horst image using the Sepia Technique (October 2009 Technique Junkie Newsletter) and mounted it on a Torn Frame (December 2008 TJNL). That was placed on a Glassy Embossing Background (February 2010 TJN). The Glassy Embossing Technique is also on the new Emboss or Die CD. 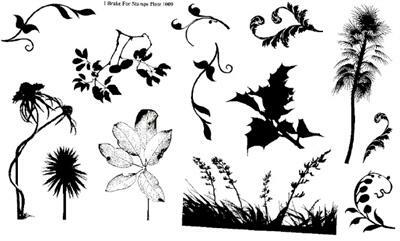 There are 79 step-by-step pictorials on the CD -- including 49 new techniques and 30 from the archives, It is a library of embossing, die cutting and electronic cutting ideas, complete with the how-to and examples of what the design team has done. You can order it HERE for $17.95. Happy Friday! Today is Blogger's challenge day and our theme is LOVE. Perfect for me...it forced me to make my DH's Valentines Day card! My card uses a modified version of the Spots and Phrases Technique, one of the bonus techniques from CD8, as the background. I layered a Cuttlebug Highlights (October 2008) Heart and the saying over that. Finally, I used the Curled Corners Technique from the February issue of the Technique Junkie Newsletter to add my final accent. All stamps Stampin' Up!. If you have a minute, take a peek at the submissions from the other Blogger Challenge art by clicking on a picture below this post. I am sure the Bloggers Challenge girls will be adding their art all weekend, so check back to see more, then play along. Hope you have a great Valentine's day weekend! Distressed Colorblocking, a technique from the new February 2011 issue of the Technique Junkie Newsletter, is one of the easiest to do! 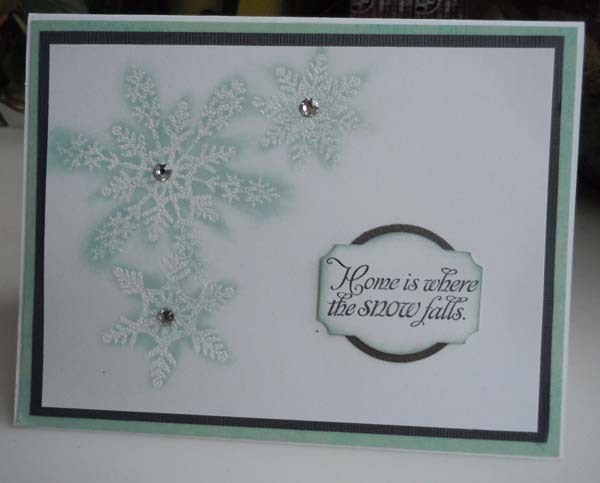 It looks great with silhouette stamps -- so today's giveaway is pretty timely. I Brake for Stamps has a brand new release! There are collage postage stamps and a carnation collage. You can view all of the new releases here: http://ibrakeforstamps.com/lateststampreleases.aspx. 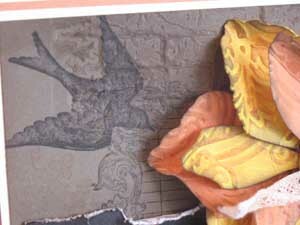 In addition, 75 images have been added to the website from the Embossing Arts line and the Time To Stamp line. To top that off, Save 15% off all in stock Sizzix Dies through February 10th. To enter this giveaway for the Florals and Leaves stamp set, please leave your name and email address in the comments on this post on my blog (do not email me your submission). I suggest leaving your email address as follows: p huntoon at optonline dot net. You do not need to be a subscriber to enter this giveaway. My random number generator will be selecting a winner on Monday, February 14th at 9:00 am. I made this quite a while ago -- but for some reason, I never posted it (or at least I don't think I did!). It is a Zig-Zag Accordion Card from the Fancy Folds and Motion CD. This is one of those cards that my 14 year old told me was "cool enough to give to his friends." That doesn't happen often! Although he appreciates my cards, sending them to one of his buddies is something different entirely! All of the stamps here are from Stampin' Up!. Details on the CD - which has 60 Fancy Folds and Motion Projects, all in step-by-step pdf format -- and how you can order your copy, are HERE. I am delighted to be able to participate in Blogger's Challenge this week, especially since the theme this week is to use one of my favorite color combination: black, white and red. I always love this combination! This week, though, I am especially excited because of the card above! Sometimes you just make something and it just makes you feel happy. This card does it for me! 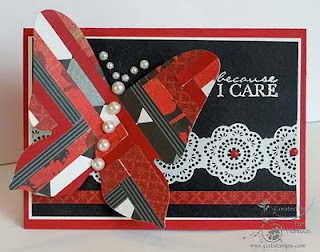 My Butterfly uses the Reverse Herringbone Technique from the soon-to-be-released Emboss or Die CD from the Technique Junkie Newsletter. I just love the technique, and I adore my butterfly! 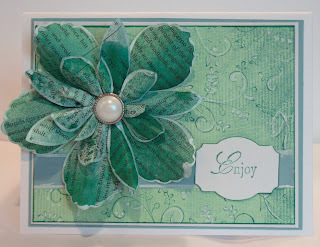 I paired it with these pretty little pearls, some paper lace, and a lovely saying from Stampin' Up!. Like the technique? You can pre-order your copy of the CD HERE -- there are 79 techniques on the CD, all in step-by-step, pdf format -- with pictures for each step -- plus great artwork examples from the TJ design team. All designed to help you get the most from your Embossing Folders, Die Cut Machines, and Electronic Cutters. It is only $17.95. So much inspiration for so little! The BC players are listed below -- click on any thumbnail to see their work, and play along, too! Have a great weekend. 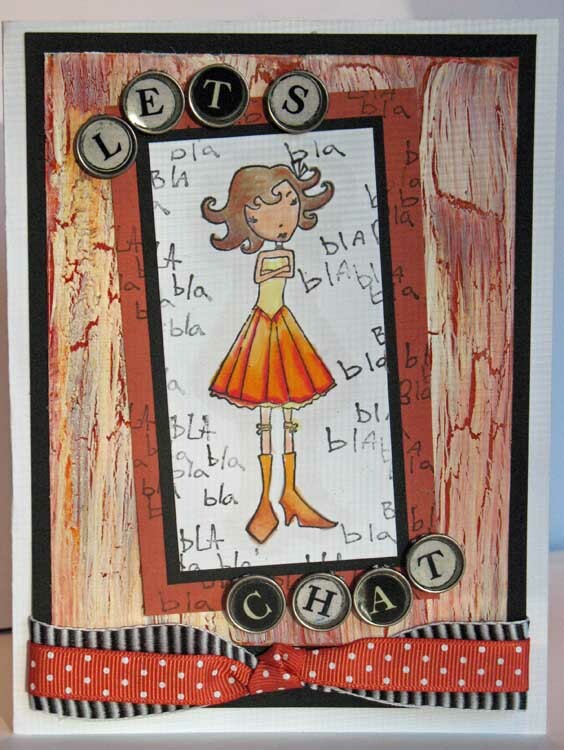 In addition to the stamp set above, Sweet 'n Sassy Stamps also has some new releases that you will not want to miss. And Technique Junkies can take 10% off using the code: tjnrocks, too! 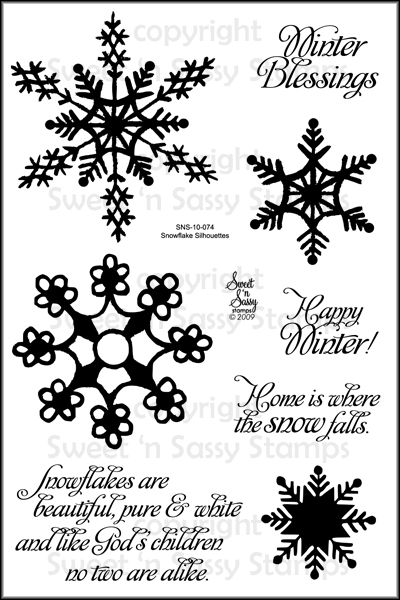 To enter this giveaway for the Snowflake Silhouettes Stamp set and Neutral Shadows card, please leave your name and email address in the comments on this post on my blog (do not email me your submission). I suggest leaving your email address as follows: p huntoon at optonline dot net. You do not need to be a subscriber to enter this giveaway. My random number generator will be selecting a winner on Monday, February 7th at 9:00 am.